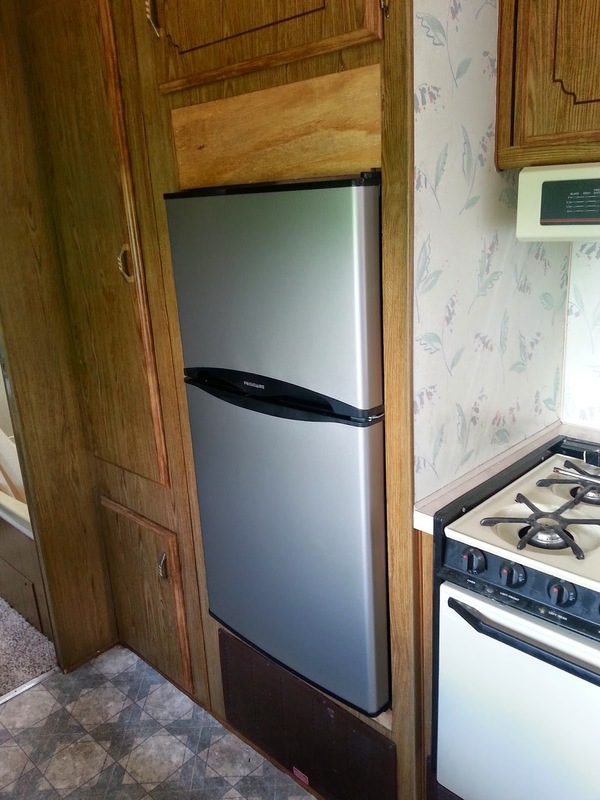 Here is the video of the process of installing an off-the-shelf residential refrigerator in an RV. The old refrigerator was leaking ammonia and needed to be taken out right away. Once that was done we decided to replace this fridge with a residential off the shelf model that will only run on 120/110v. The cost savings is significant, however, we will not be able to run it while on the road or if we do not have a plug-in where we are camping. For us that is not a factor as we always stay at state campgrounds and normally do not travel more than a few hours. We can cool it down at home, and unplug it for the trip, and plug it back in when we arrive. The residential refrigerators actually work better and cool faster than the RV models and, in this case, I only paid less than $250 for the project. If I were to have replaced the cooling unit on the existing fridge it would have been about $600 and for a new fridge it was over $1300. Thanks to all of you for doing these videos. You are definitely a God sent. May God Bless you & yours. Activities to Do in Palm Jumeirah Thanks again for the blog.Really looking forward to read more. Really Great.